Wedding is a once in a life time event that brings the two souls together, where they vow to spend their life in love and togetherness. It is said that “marriages are made in heaven, but they are decorated here on earth”. To make this special day memorable and ever cherishing people go great lengths to make everything picture-perfect. To make their wedding flawless people spend millions. So, here goes the top 10 most expensive weddings till date. The spellbinding and mesmerizing wedding, at the Marble Collegiate Church in New York City on March 16th, 2002 between actress and singer Liza Minnelli & producer and actor David Gest was one of the most expensive weddings in the history. The bride and the groom declared their love in front of 850 guest including sensational Michael Jackson and the ever beautiful Elizabeth Taylor. The wedding cost $4.3 million! Out of which $40,000 was for 12 Tier cake, and flowers costing $700,000. In a lavish ceremony, the daughter of former US president Bill Clinton and Hilary Clinton, Chelsea Clinton got married to investment banker Marc Mezvinsky on July 31st, 2010. This pair vowed to live together forever at the grand estate of Astor Courts overlooking the Hudson River, with Chelsea wearing a Vera Wang ivory wedding gown. The air-conditioned tent of the wedding was purchased at a cost of around $600,000, while the expense on security of guest was itself $200,000. The guest list included famous celebrity, Oprah Winfrey. Cake worth $11,000 and flowers of around $500,000, resulted in the total expense of $4.8 million. The $15 million wedding of Wayne Rooney & Coleen Mcloughlin stands at the 8th place in our expensive wedding’s list, former being Manchester United football star and later, a TV presenter. The wedding took place in Portofino, Italy. The 4 day wedding ceremony that started on the June 12th, 2008, took place on a $120 million yacht with 64 guests flown on 5 private jets. The bride’s gown worth $400,000 was dotted with crystals and pearls designed by Georgia Chapman’s Marchesa brand. The Irish boy band Westlife, was the wedding band which cost around $670,000. The 10 day wedding affair of Vikram Chatwal , son of New York Hotel Manager and Model Priya sachdev (name’s first characters should be in capital letter) started on 18th February 2006 across 3 different cities in India. There were around 600 guests from across 26 countries that were brought on chartered jets. It is believed that Bill Clinton was also among the guest, along with Naomi Cambell and many of the Bollywood celebrities. 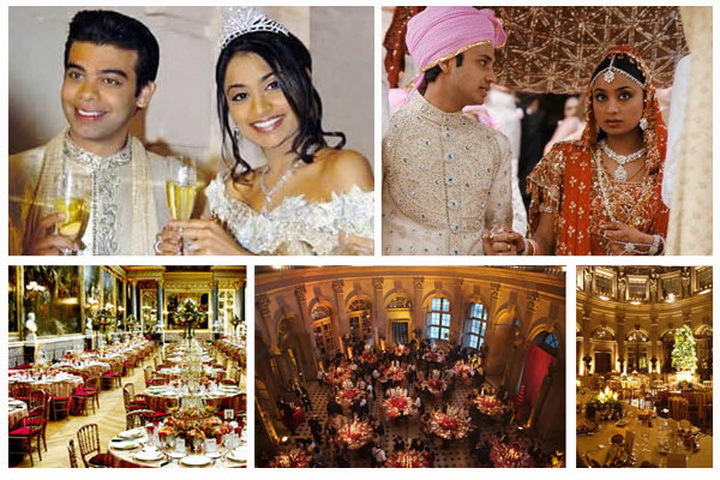 It was one of the most lavish marriages in India summing to $20 million! The fabulous and flamboyant wedding of Andrei Melnichenko, Russian billionaire and Aleksandra Nikolic, Serbian model and pop-singer at Cote D’Azur, France in 2005, was a $30 milion affair. It added a chapter to the history of world famous wedding ceremonies. When your wedding includes performances by Christina Aguilera and Whitney Houston, you know it’s going to be quite expensive. The singers alone cost $3.6 million each to perform. Another one topping the chart is $34 million dollar wedding of most awaited marriage of the decade. Yes, it is the Royal wedding of Prince Williams and Kate Middleton which took place on April 29th, 2011 at Westminster Abbey, London. The Royal wedding featured $800,000 flowers and 8 floor cake of $80,000. 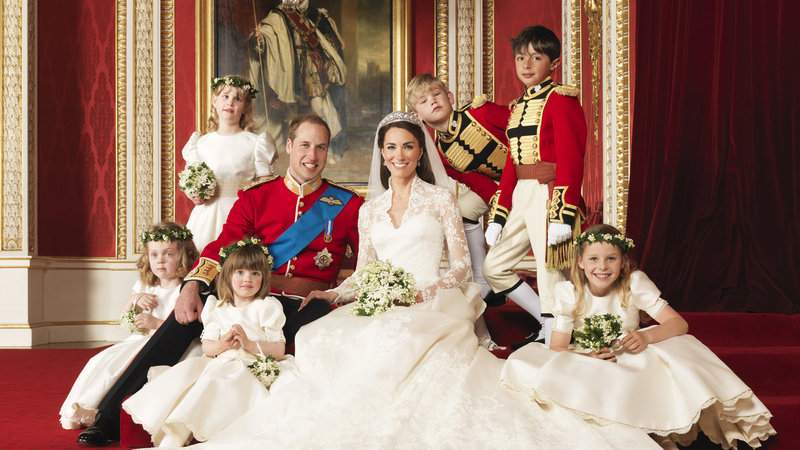 The gown worn by Kate Middleton was worth more than $70,000. The wedding was broadcasted all over the world through various media sources as internet, radio and television. India tops it again, in the most splendid marriage of history. In yet another wedding of daughter of one of the richest man from India, Steel tycoon Lakshmi Niwas Mittal. The Bride here is Vansiha Mittal, married to Amit Bhatia, London born investment banker owner of Swordfish Investments. The estimated cost of wedding was $60 million as actual cost was not revealed. The wedding took place at Palace of Versailles in Paris. Around 1000 high-profile guest from around the world witnessed the most expensive wedding in the history. The invitation was a 20 page silver card that included all the details about the grand wedding that lasted for 5 days. The centre of attraction was the performance by Kylie Minogue and Shahrukh Khan, Which was surmounted by the fireworks at Eiffel Tower. Over 100 dishes were prepared by the top chefs from Kolkata. Indians again outshines others in yet another big fat wedding of business magnate Subrato Roy’s sons. The wedding was held at Lucknow on Feb 10th, 2004. Subrato Roy spent a splendid amount of $128 milion. The feast included more than 100 dishes, prepared and managed by the chefs from The Taj group of Hotels, for 11,000 guests. The topmost appeal to wedding was live music played by British Symphony which entertained guest on around 20 Indian songs. Uk based artist performed Flamenco dance, classical ballet and tap dance, and noted Bollywood Director Raj Kumar Santoshi filmed the event. It is the most expensive wedding in the archive of India till date. Just Imagine, a hall equivalent to stadium built just to accommodate the 20,000 guests invited in a wedding, just because there is no such huge facility available. This imagination stood true in the wedding of Sheikh Mohammed Bin Rashid al Maktoum and Sheikha Hind Bint Maktoum held in Dubai held in the year 1979. The major expenses of wedding were on the luxury of the guests. The wedding reportedly cost around $45 million, which would amount to $100 million today. The festivities lasted for 7 days during which Sheikh Mohammed went to every village in the UAE to feed everyone. The wedding justified its place in the “Billionaires Weddings” of the Forbes Magazine. This is how the most expensive weddings in the world’s history went through and how the billionaires around the globe decorated their marriage day according to their choices and preferences to make their wedding most distinguished ones. Most of the above listed marriage did not last long, and failed. The mere show off of the lining of the wallets by the high-profile individuals which proves that for a marriage to last, it is not necessary to spend extravagantly. Hey Indrani, welcome to the ListOTop, a world of everything top 10, we have checked your blog and that is awesome, omg what an excellent clicks, have you done any photography course?